Coolest Cooler has burned all the way through its $13 million in funding, and is now searching for an investor to help bail them out. 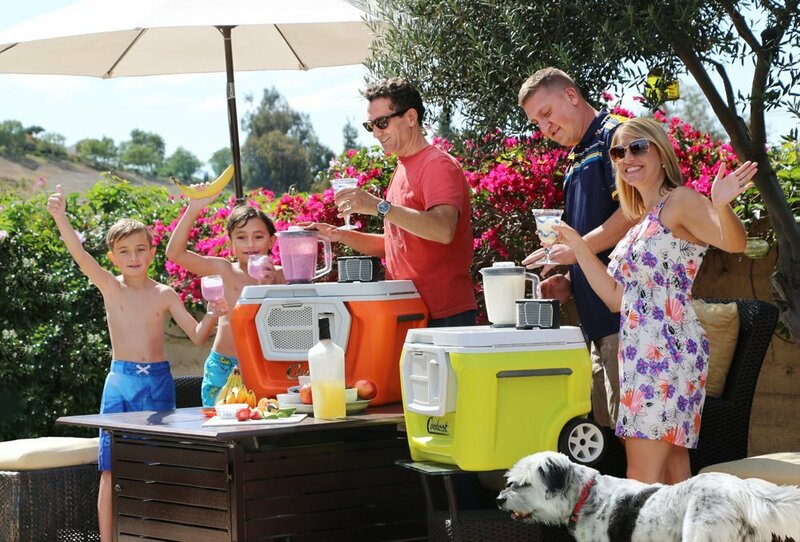 Saying “tens of thousands” have “seen” the Coolest Cooler, founder Ryan Grepper says the company still doesn’t know when it will be able to fulfill outstanding orders. 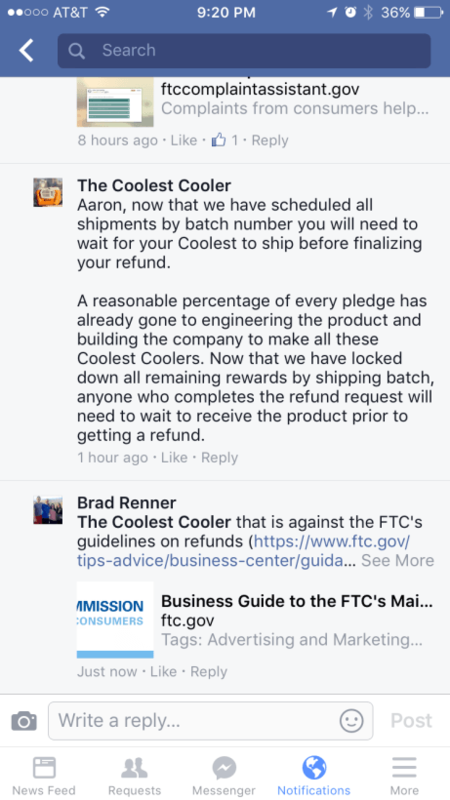 He also didn’t say how many backers are still waiting for their Coolest Cooler. Keep in mind the Coolest Cooler is for sale on Amazon (with Prime shipping! ), which the company arranged without first fulfilling crowdfunding orders. And full disclosure: there was also a Coolest Cooler giveaway on TNW. I’ve received many emails from disillusioned backers over the past few days, some of whom are upset at Coolest’s latest efforts. A new tool designed to let people know the status of their order doesn’t provide an estimated arrival — just hub and batch numbers for production. Further, the company is apparently refusing to issue refunds until the product is ready to ship — a clear violation of FTC rules for internet orders. 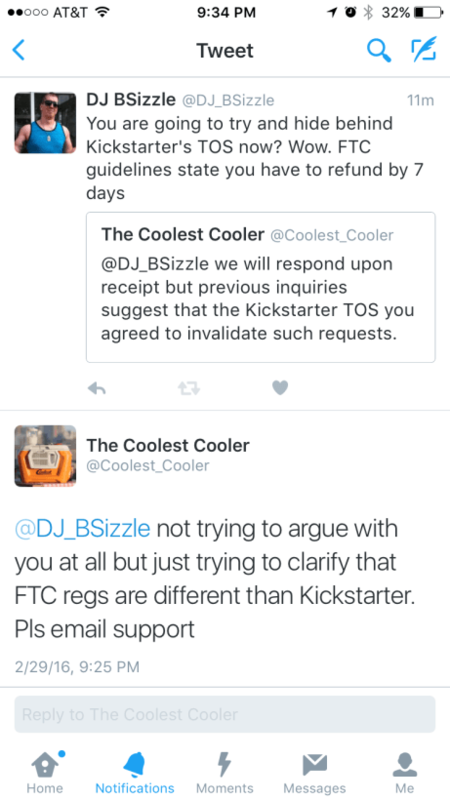 Sadly, the FTC doesn’t regulate Kickstarter campaigns outside of blatant scams, so there’s little recourse for backers who want a refund. Speaking to The Oregonian, Coolest spokesperson Susan Towers says the company has shipped over 30,000 coolers, though it’s not clear how many of those went to backers and how many are Amazon orders. Towers also says Coolest has a “contingency plan” to fulfill orders without the help of an investor, but didn’t provide details. “The project is not complete and we remain 100 percent committed to fulfilling all backer rewards,” said Towers. Of course, Coolest operates in the grey area of crowdfunding. Saying the project ‘isn’t over’ borders on insulting, considering the continued delays fall squarely at their feet. The latest estimated delivery on the campaign was a full year ago. 62,642 people backed Coolest Cooler. If all 30,000 units the company says it has shipped went to backers (which means Amazon hasn’t sold a single one, even though it has 587 reviews) — that’s 50 percent fulfillment with a year-long delay and another round of excuses. Backers may be able to get answers, though. Coolest has a Google Hangout event scheduled tomorrow at noon pst for backers, which is meant to “address any concerns” backers may have. But like so much of Coolest Cooler’s initiative, even the Hangout is too good to be true; questions must be submitted ahead of time, so there will be no open dialogue.